Elvis Presley will always and forever be America’s King of Rock ‘n’ Roll. 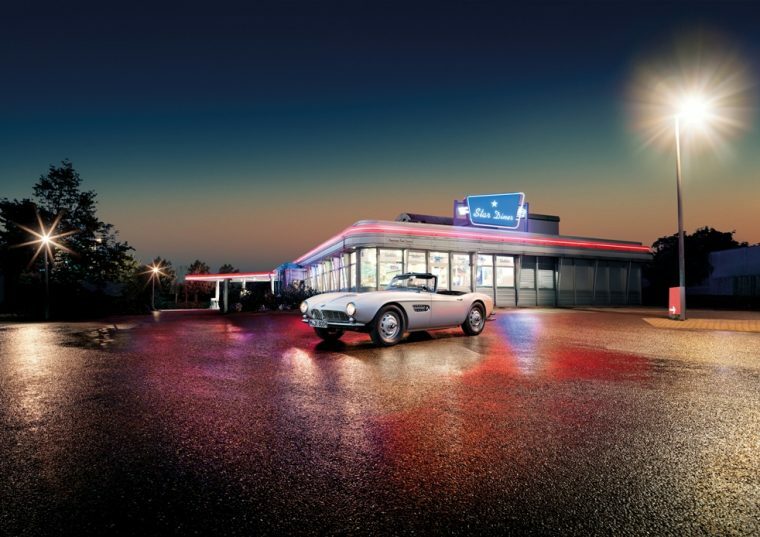 His ride of choice in the United States might have been a Cadillac, but when he was stationed in Germany for military service, he fell in love with a little BMW 507. The 507 is a rare model, with only 254 of the model being built from 1954-1959. 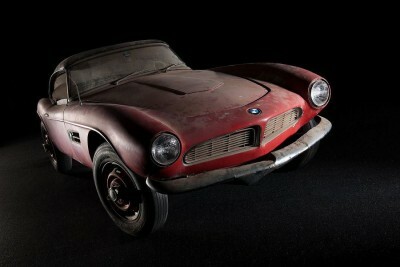 Against impossible odds, the King’s car was found by a collector, and BMW has restored it to its former glory. To celebrate the end of the restoration project, BMW displayed it in public for the first time at the Pebble Beach Concours d’Elegance. 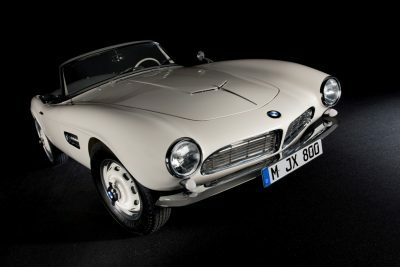 Before Elvis even bought the car, it was a car driven around Europe by famous racer Hans Stuck, known as the “Hillclimb Champion.” He and his white BMW 507 raced up the hills of Austria, Germany, and Switzerland, as well as riding around the continent on promotional tours. This meant that the vehicle was carefully maintained by BMW before it ended up at a dealership in Frankfurt. That’s where Elvis, 23 years old at the time, found the car and purchased it for his drives from his house in Bad Nauheim to the US Army Base in Friedberg. Presley loved the car, but painted over the original white eventually with a deep shade of red. While red is a great car, Elvis did it to conceal the embarrassing red lipstick marks from his fans kissing the car. 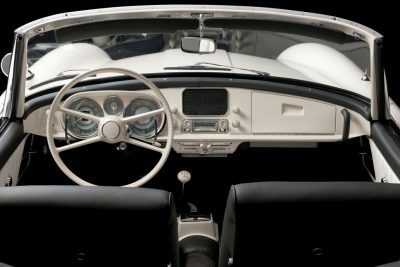 The BMW 507 was brought back to the states with the musician, where he sold it for a Cadillac. 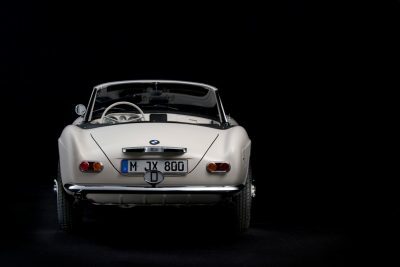 From there, the car changed hands and was used and abused until it was found by collector Jack Castor and eventually sent to BMW in Munich for restoration. 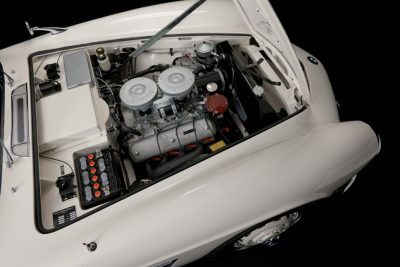 It took BMW a long time to restore the car, as BMW Group Classic did not have many parts for the vehicle due to its rarity. The car had also been ravaged by time, and over the years had a Chevrolet engine stuffed under its hood and had acquired a bad case of rust. But, through hand craftsmanship and 3D printing, BMW was able to bring it back to the shape it was in when it rolled off of the assembly line. 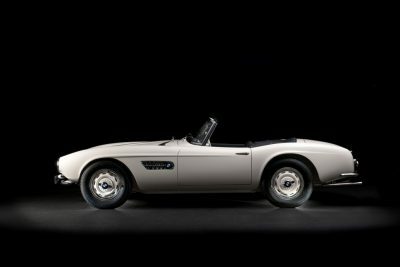 When The King’s BMW 507 took the stage this month in Pebble Beach Concours d’Elegance, it was displayed in honor of Jack Castor, the man who saved it but passed away before the project was finished. Not only did he save a rare car, but one with great cultural significance.